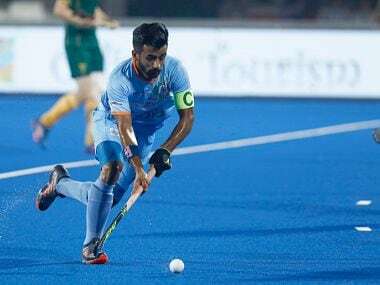 Bhubaneswar: A day before one of the most important matches of his career, Indian hockey team captain Manpreet Singh was busy defending Hockey India CEO Elena Norman. Reason? 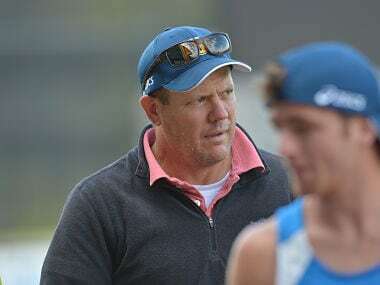 Norman had allegedly reprimanded him and his few teammates - Mandeep Singh, Krishan Bahadur Pathak, and Gurjant Singh - on Tuesday night because the players were found sitting in the VIP Lounge of the Kalinga Stadium. India captain Manpreet Singh was allegedly yelled at in full public view. File image. As per eyewitnesss, the players - who are not permitted to enter the said area - were rebuked by Norman in full public view and were told to "shut up and get out." A Hockey India official who tried to intervene was repeatedly abused and yelled at. 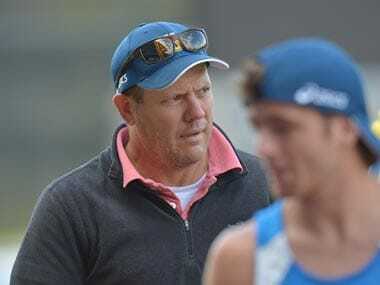 The incident, that happened during the Netherlands-Canada crossover game, was brought to notice in a lengthy Facebook post by Leo Devadoss, a Karnataka-based hockey coach who claimed to be present at the time of the incident. Sources close to the Indian team told Firstpost that the incident did come up for discussion within the team on the match-eve too. Skipper Manpreet, when asked about the incident, tried to downplay the incident when the question was finally posed to him towards the end of a fairly long presser. "I was waiting for this question. I thought nobody would ask," he said with a chuckle, before taking the blame for his presence in the area. "It was our fault to be in the lounge when we were not allowed to be there. Nothing of this sort happened, and things have been blown out of proportion. I had forgotten about the incident until I was reminded about it the next morning when I saw some lengthy Facebook posts," the skipper added. Further, Manpreet denied being under any duress, and said he shares a healthy rapport with Norman. "There is no pressure on me to say what I am saying. It was our mistake. Nobody told me to say this. I have no personal issues with Elena. If I had got my phone here, I would have shown you that we are in constant touch. She is my colleague, and we share a very good relationship," he said. Coach Harendra Singh's reply on whether such incidents affect the team's preparations was cryptic and subdued. "That's a very good question," he began. "I know which country I live in. I had given our team a chart on the very first day. I drew a circle and told them to concentrate only on things inside the circle and forget the things outside," he said. India will play The Netherlands in their quarter-final match on Thursday.